Then he's finally shown in a photograph. 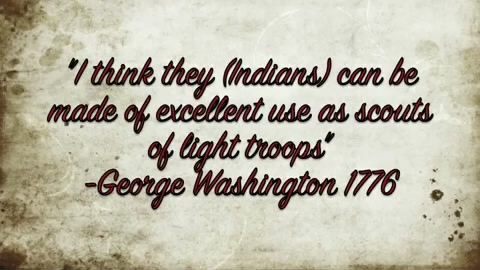 The movie then talks about Navajo history. 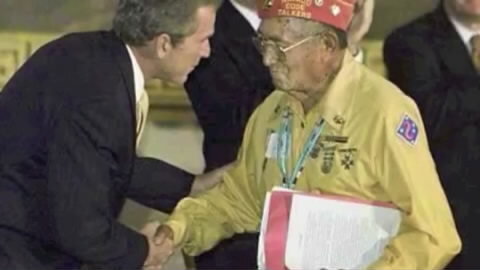 Other codetalkers are seen. 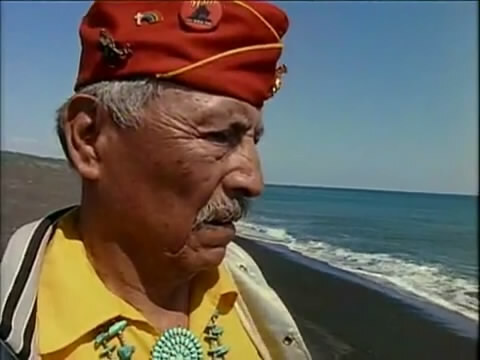 The program explains how Navajo children were sent to white schools and punished when they spoke their native language, then talks about how the United States needed some kind of unbreakable code during WWII that the Japanese could not figure out. 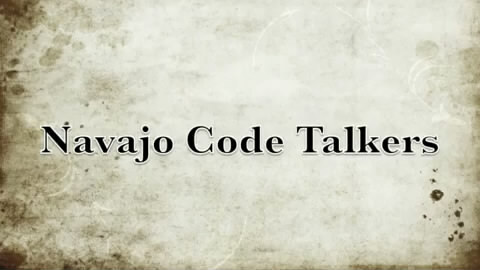 They turned to the Navajo and the language they tried to force out of them as their answer. 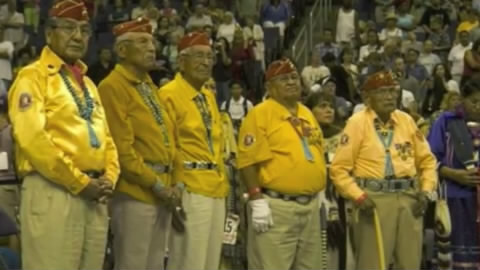 Nearly 4,000 Navajo joined the military. 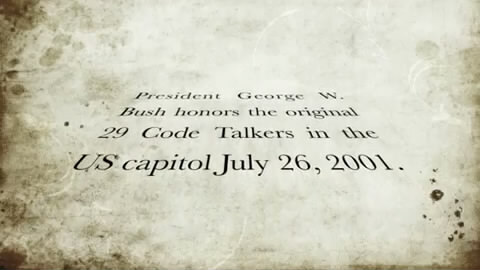 Around 400 of those served as codetalkers. 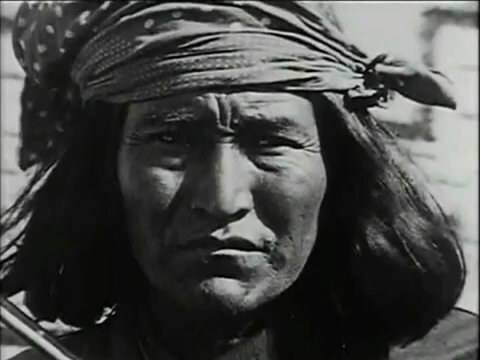 The film explains how the Navajo not only used their own language but even had their own alternate words. Potato meant hand grenade. Ground boiler meant rockets. Hummingbirds were fighter planes. 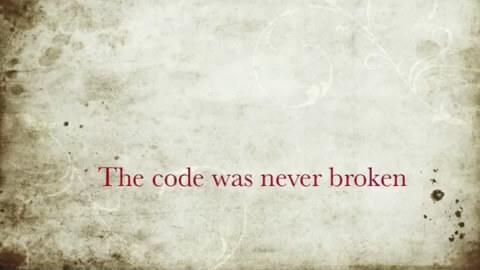 Then they'd used the Navajo for the alternate word and transmit that, making their code even harder to break. 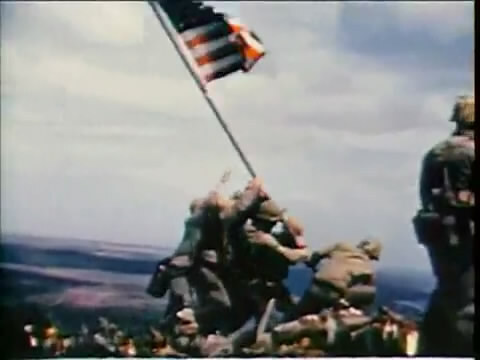 The program talks about the invasion of Iwo Jima and how the Japanese had set up a trap. 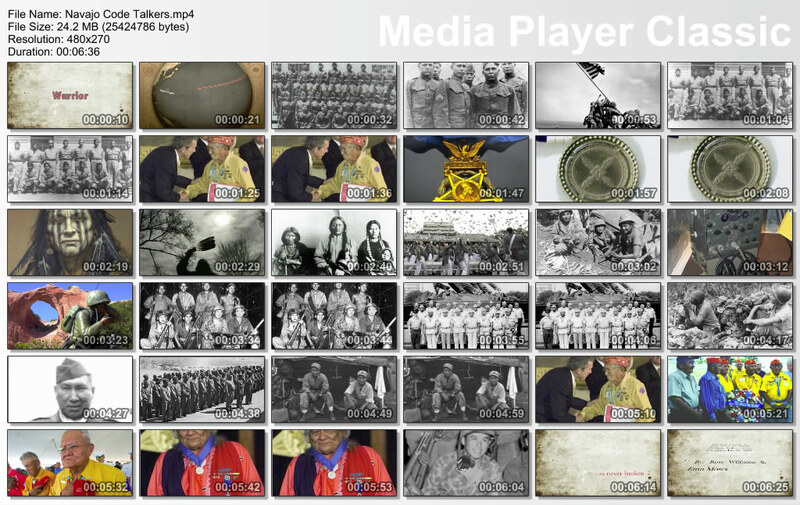 Then it talks about how important the codetalkers were to calling in air strikes, helping units get out of trouble, etc. 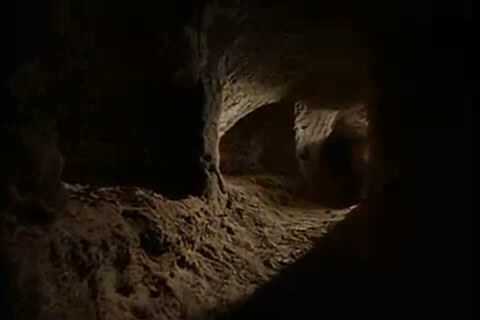 One of the extremely numerous underground tunnels the Japanese had built on the island. 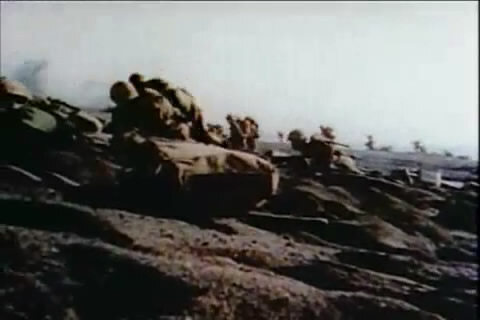 The reason taking the island was so important was so that airstrips could be constructed to allow damaged American bombs a place to land after their bomb runs over Japan. 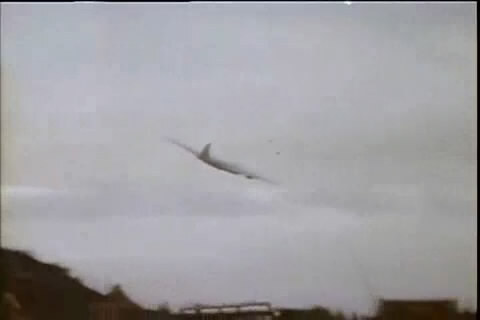 Thousands of crewmen's lives were saved this way. 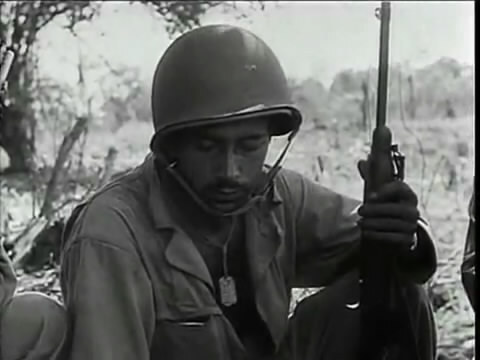 Over 6,000 Marines died on the island. 21,000 of 22,000 Japanese died.